"HAPPY NEW YEAR, COLIN BURSTEAD" IS RELEASED ON BBC TWO TONIGHT! 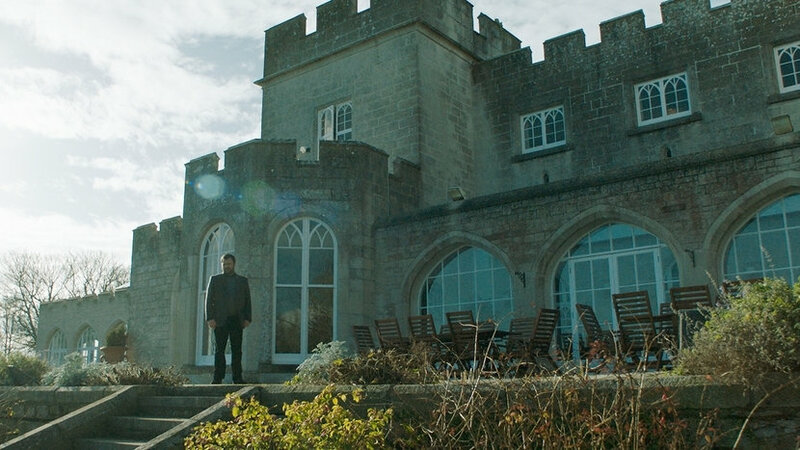 Ben Wheatley’s new feature HAPPY NEW YEAR, COLIN BURSTEAD is released today on BBC Two at 10.30pm! Wheatley has teamed up again with echo’s Costume Designer Emma Fryer and Hair + Make-Up Designer Emma Scott after working together on FREE FIRE. The film premiered at London Film Festival this year after making an exclusive deal with the BBC to house the film on the channel. Make sure to check it out! Ben Wheatley’s new film HAPPY NEW YEAR, COLIN BURSTEAD premieres tonight! With Costume Design by echo’s Emma Fryer and Hair and Make Up Design by Emma Scott, the film is part of LFF’s Official Competition and stars Neil Maskell, Sam Riley, Joe Cole, Charles Dance, Hayley Squires and more. The film will then air on BBC this Christmas. We are extremely proud to congratulate the following clients whose projects are in the official competition at this year's London Film Festival. Director of Photography David Gallego, ADFC for BIRDS OF PASSAGE, directed by Cristana Gallego and Ciro Guerra; Costume Designer Emma Fryer and Hair + Make-up Designer Emma Scott for Ben Wheatley's HAPPY NEW YEAR, COLIN BURSTEAD; Costume Designer Jo Thompson and again Hair + Make-Up Designer Emma Scott for IN FABRIC, directed by Peter Strickland; our new Director of Photography client Joe Anderson for THE OLD MAN AND THE GUN directed by David Lowery and Director of Photography Nadim Carlsen who shot Isabella's Eklöf's HOLIDAY which is in the First Feature Competition. Congratulations also go to the following clients whose features will also be screened at the festival; Costume Designer Guy Speranza for Jon S Baird's STAN & OLLIE which will be screened as the Closing Night Gala; Sam Sneade, Additional Editor on THE FAVOURITE, directed by Yorgos Lanthimos; Director of Photography David Gallego, ADFC again for STICKS AND STONES (BRAKLAND) directed by Martin Skovbjerg; Costume Designer Jane Petrie and Hair + Make-Up Designer Kirstin Chalmers for David MacKenzie's OUTLAW KING; Production Designer Sophie Becher for A PRIVATE WAR directed by Matthew Heineman; Director of Photography Nadim Carlsen for Ali Abbasi's BORDER; new Production Designer client Bobbie Cousins, Editor Napoleon Stratogiannakis, Costume Designer Holly Rebecca and Hair + Make-Up Designer Bean Ellis for MARI directed by Georgia Parris; Costume Designer Susie Coulthard and Hair + Make-up Designer Loz Schiavo for Jonas Âkerlund's LORDS OF CHAOS. Finally, congratulations to our clients who worked on the short films selected at this year's festival: Director of Photography Michael Paleodimos and Costume Designer Sharon Long for BLACK SHEEP directed by Ed Perkins; Hair + Make-Up Designer Loz Schiavo for JERK directed by Raine Allen-Miller; Edgar Dubrovskiy for Eros Vlahos's RIGHT PLACE, WRONG TIM and Matteo Bini for NAPTHA, directed by Moin Hussain. The festival runs from 10th to 21st October.